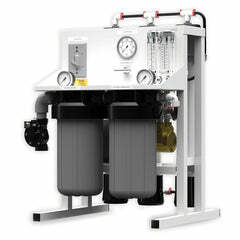 The Evolution RO 1000 on-demand reverse osmosis system is capable of producing 1000 GPD of RO water per day, or 42 gallons per hour on demand with no tank if you need. 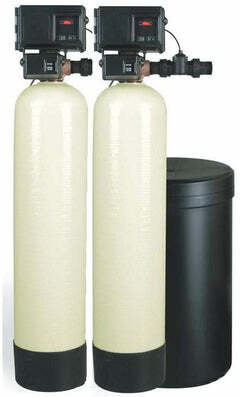 It has an option to save on water by running a 2:1 waste to product water or optional 1:1 ratio. 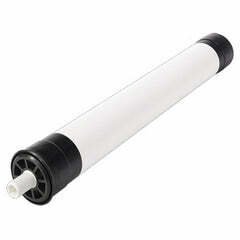 Includes a sediment/carbon pre-filter and 2 membranes and can remove up to 95% of all impurities from your water. 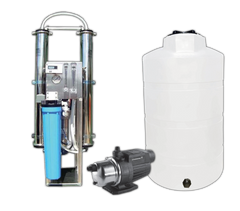 Call 1-888-309-2837,our customer service staff are experienced in building water filtering systems, they can help you get exactly what you need, within your budget. 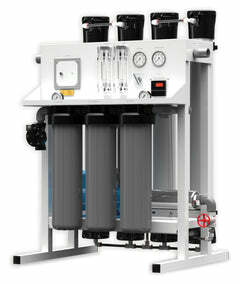 The Evolution RO 1000 Reverse Osmosis System is a complete water treatment system. 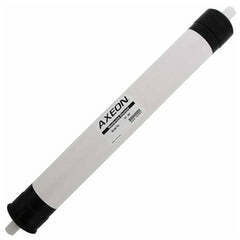 It uses water pressure to push water through a semipermeable membrane to filter out minerals and impurities. 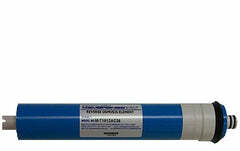 Treated drinking water goes through the blue line. 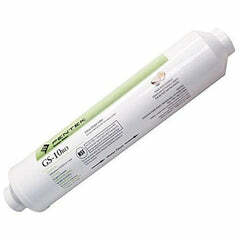 Minerals and impurities are sent to the drain with RO waste water through the black line. 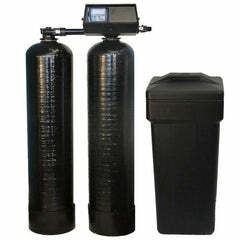 The system includes a replaceable carbon pre-filter and 2 membrane elements. 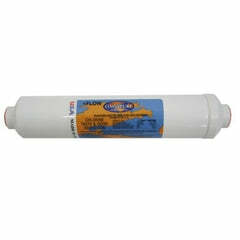 The pre-filter reduces sand, silt, dirt, rust particles, other sediments, chlorine, chloramines, iron and sulfur from the incoming water supply before they enter the RO membrane elements. 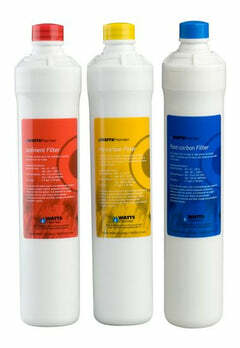 An optional high capacity pre-filter, the Pre-Evolution, is available to add 2 extra stages of pre-filtration. This will help further reduce the contaminants listed above as well as cut down on filter changes and maintenance of the Evolution-RO 1000. 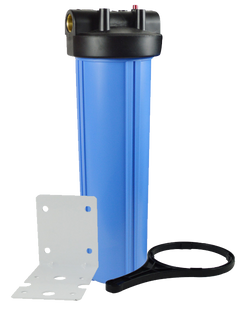 There is an optional deionization post-filter will remove any remaining PPM of TDS in the water after passing through the RO system.